Sanpoutei Ramen is a new tenant at the newly renovated Shaw Centre (technically, they are in Shaw House, but the buildings are so interconnected that it feels like part of Shaw Centre which we are more familiar with). 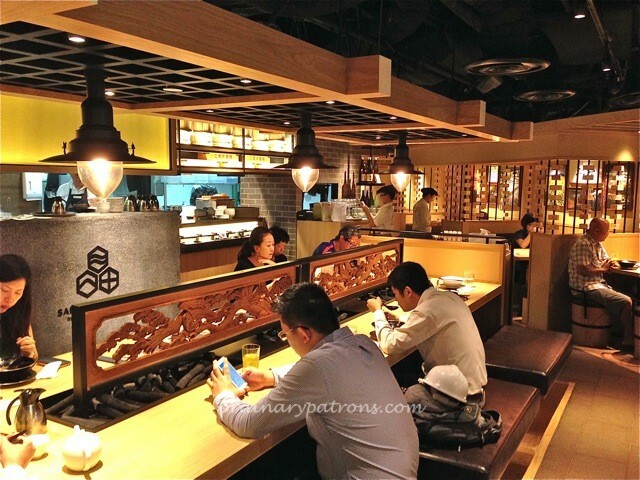 It is located in the basement, right across the Isetan supermarket and next to Breadtalk. 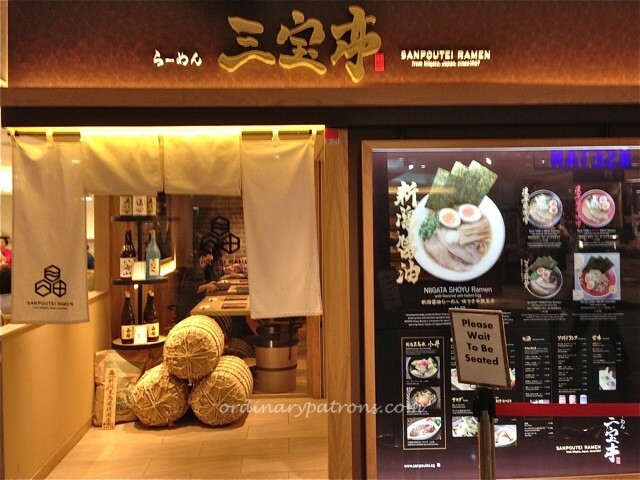 With so many ramen outlets mushrooming all over Singapore, is this just another one to add to the numbers or will it distinguish itself? Sanpoutei is from Niigata, Japan where they have apparently been in business since 1967. This is their second branch in Singapore. The first branch opened earlier this year in Holland Village. The restaurant is laid out efficiently with tables arranged along the perimeter and a long table with bench seating in the middle. 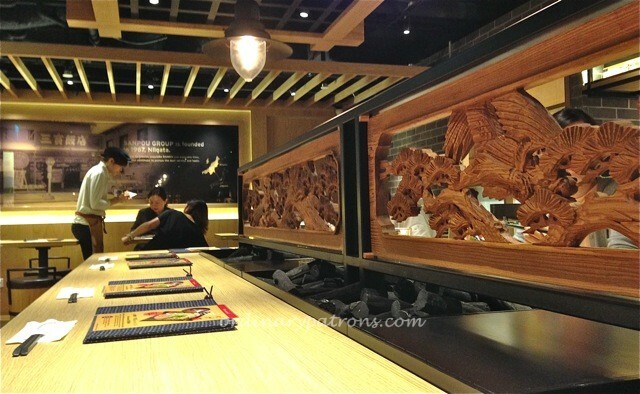 With a light wood themed decor, the place has a traditional Japanese restaurant look and feel but the atmosphere is given a modernised mood by the jazz music playing in the background. We ordered two types of ramen. The first was the Niigata Shoyu Ramen ($14) which appears to be their speciality and also the most basic of the items on offer in the menu. The stock for the ramen is clear but flavorful, having been cooked for 6 hours. The ramen is bouncy and cooked just right. 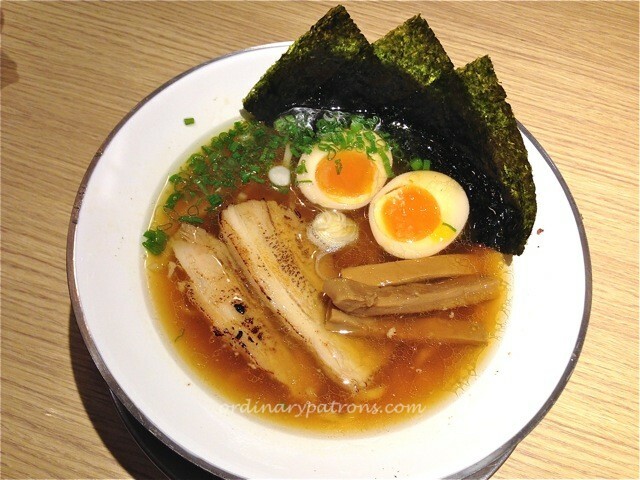 The ramen is garnished with two slices of pork, an egg with soft yolk, some sheets of seaweed and bamboo shoots. I must say that this was really one of the best ramen I have eaten in Singapore. My only complaint is that the portion is quite small. 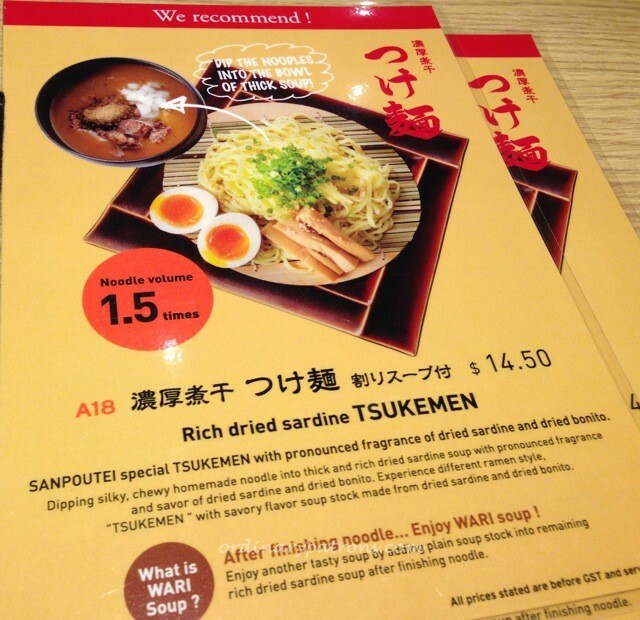 Our second ramen was something which has just been introduced – Tsukemen ($14.50). 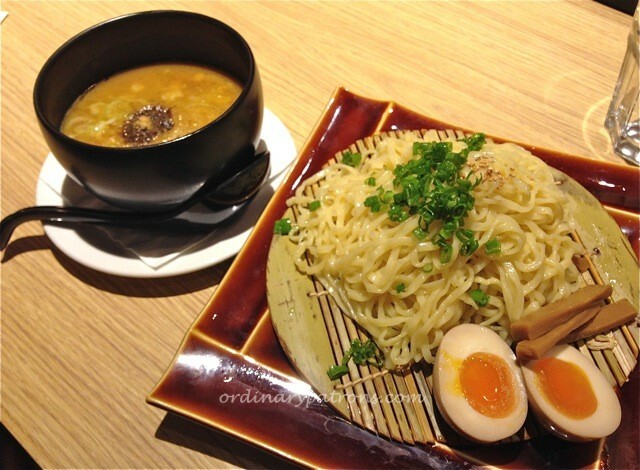 Basically, the ramen is served separate from the sardine soup which is thicker and more concentrated than usual (a bit like gravy). You dip the ramen into the soup, like eating cold soba. 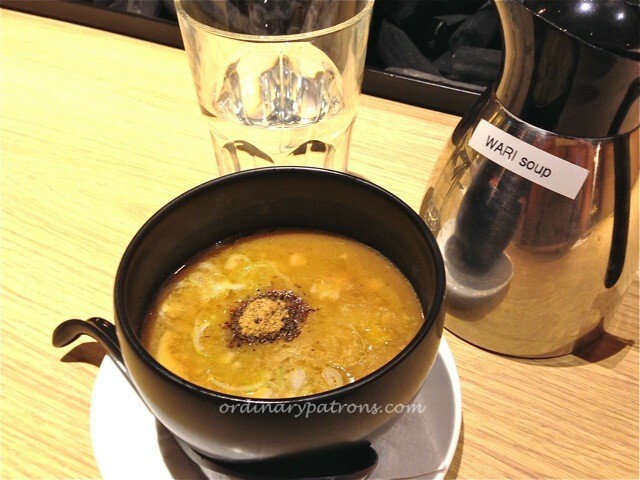 After you have finished the ramen, a pot of hot plain stock (“Wari soup”) is provided for you to dilute the remaining gravy to be drank as soup. Our initial reservations about the sardine soup (we were afraid it might be too fishy) turned out to be unfounded. Yes, there is a distinctive fish flavour but not in a bad way at all. The noodles were excellent and came in a larger portion than the shoyu ramen dish. Left on their own without being immersed in soup, one can better taste and appreciate the flavour and texture of the ramen. Even as I am writing this and looking at the pictures, I am now thinking of going back for another round! It is really good and different. The Wari soup was provided thoughtfully in a thermos flask so you can add it to the remaining soup at your leisure and to the degree of dilution you desire. We tried a soup to Wari ratio of 2:1 and that worked quite well. All in all, this was a very enjoyable lunch. We would certainly return in the near future.